Despite the usually-slower summer months, community groups have remained focused on Mount Sinai Beth Israel’s downsizing plan, which includes drastically reducing the number of hospital beds. 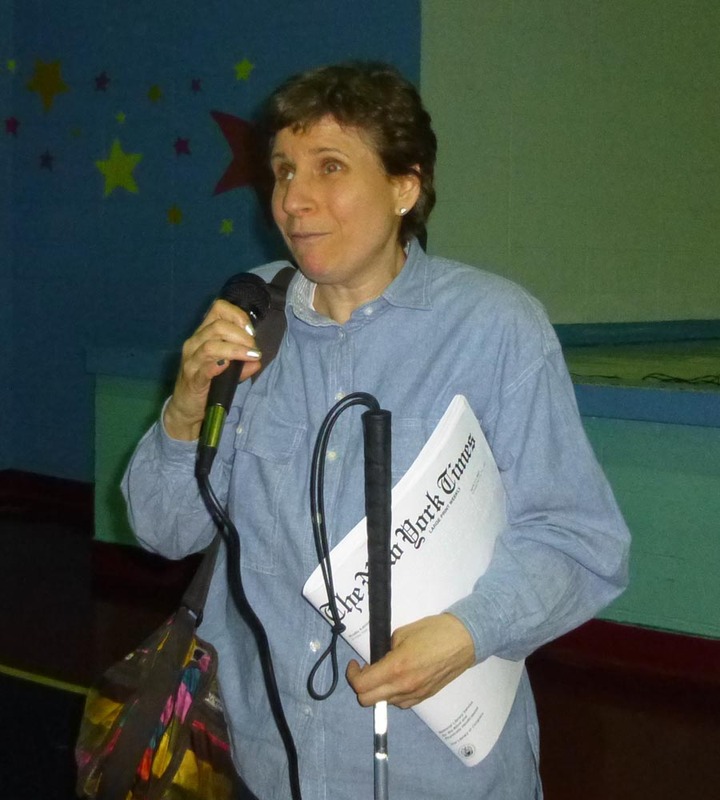 The Gramercy-Stuyvesant Independent Democratic Club hosted a recent forum to provide updates, although representatives from local hospitals, including MSBI, were unavailable to attend the meeting. 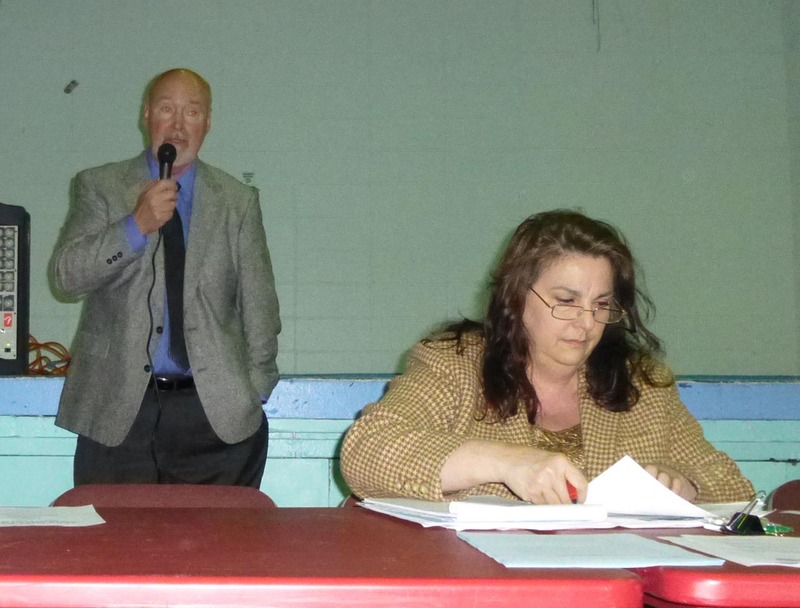 Community Board 3 Chair Jamie Rogers said that the community board, along with Boards 2 and 6, has recently been involved in a working group organized by Manhattan Borough President Gale Brewer. Life-long Lower East Side resident Carlina Rivera has been involved in local politics since as young as age 12, so it should come as no surprise that her next move is running for City Council. Until recently, Rivera was the legislative director for Councilmember Rosie Mendez, and she left the position to focus on running to fill the seat in District 2 that Mendez will vacate this year due to term limits. Rivera’s introduction to politics at such a young age was thanks to tenant advocate Marie Christopher, who lived on the first floor of her building on Stanton Street when she was growing up. The developer of a planned residential building at the site of the old Peter Stuyvesant Post Office is still hoping to add an additional four stories to what was originally supposed to be an eight-story structure. Benenson Capital Partners, whose request for a required zoning variance to do this was shot down in July by a committee of Community Board 3, will next be heading to the Board of Standards and Appeals. While the community board’s unanimous vote in opposition to the variance was just advisory, a decision made by the BSA would be official. The developer had previously argued that an additional few floors was necessary to make the project economically viable, due to costs related to underground water conditions at the site. The MTA will be conducting a study on a plan to close 14th Street to traffic for the duration of the planned 18-month L train shutdown. The feasibility study was announced by State Senator Brad Hoylman on Wednesday, who, along with quite a few other elected officials, had requested the study. He added that the study includes a proposal for a dedicated bus lane and expanded cyclist and pedestrian access. Following the news that Mount Sinai would be moving and downsizing Beth Israel, reps from the hospital network met with neighborhood residents to insist that simply renovating the First Avenue hospital was not an option. Mount Sinai Beth Israel met with Community Boards 3 and 6 earlier this month to share details on the plan to relocate most of the campus on First Avenue to a much smaller facility at East 14th Street and Second Avenue, adjacent to the New York Eye and Ear Infirmary. Brad Korn, director for community and government affairs at Mount Sinai, along with Brad Beckstrom, senior director for community and government affairs at the company, told committee members and residents of the community that the main reason for the downsizing is the advanced age of the facility on First Avenue at East 16th Street. Community Board 6 and 3 recently formed a joint task force to offer guidance on how new features along the East Side waterfront can be incorporated into a recently-funded project focused on waterfront resiliency. The new task force met for the first time this past Monday to discuss preliminary ideas for the project and is composed of 11 representatives, including members of CB3, CB6 and various community stakeholders. CB6 chair Sandro Sherrod, who is also chairing the task force, said that while construction isn’t expected to begin until at least 2017 and the project is currently in the conceptual design phase, the task force is planning to have additional meetings and invite the public to look at different options and various design elements. The project, which is spearheaded by the Economic Development Corporation (EDC) and the Office of Recovery and Resiliency (ORR), is known as the BIG U and is the result of a design competition that was held by Housing and Urban Development in which participants came up with ideas on how to fix areas that were heavily damaged by Hurricane Sandy in 2012. HUD approved $335 million in funding for the project last October. The BIG U in the project refers to a ten-mile long protective barrier to be built along the east side of Manhattan from East 42nd Street down to the Battery, then looping in a U shape up to East 57th Street. Instead of typical flood barriers and walls, the project proposes to include seawalls, raised pathways, parks, locally appropriate berms and mechanized operable barriers. The plan splits the project into three distinct zones, one of which is the area between Montgomery Street on the Lower East Side and East 23rd Street. The “zone” from Montgomery Street on the Lower East Side along the waterfront extends to East 23rd Street but this area is split into two different parts. The first project area includes the region below East 14th Street, which includes a number of NYCHA developments on the Lower East Side that were badly damaged by flooding, currently has more concrete design plans than the second project area but the task force will be working with the BIG U team to solidify ideas for the area north of East 14th Street. 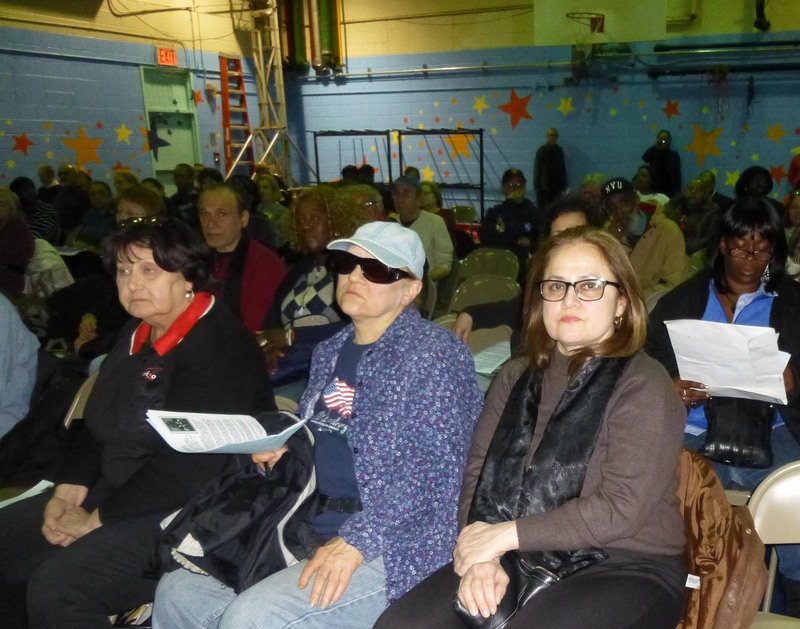 Residents of Stuyvesant Town and the East Village as well as postal employees and union reps packed a meeting on the planned closure of the Peter Stuyvesant Post Office on Monday. For the past few weeks, Stuyvesant Town residents as well as those who live on the south side of 14th Street have been swapping stories about what is likely to become of the Peter Stuyvesant Post Office once its lease expires next year, with condo towers and NYU dorms topping the list of possibilities. And on Monday, around 100 people, mostly seniors who live nearby as well as around half a dozen postal employees, aired their concerns and fears at a town hall meeting held at the Campos Plaza Community Center. At the meeting, which was hosted by Community Boards 3 and 6 and Council Members Rosie Mendez and Dan Garodnick, a handful of reps from the United States Postal Service also showed up. Among them were Joseph Mulvey, who handles “facilities implementation,” some regional reps and the manager of the Peter Stuyvesant station. However, Mulvey was the only one who addressed the crowd to speak or to answer questions. Ignoring some heckling, Mulvey told the audience that the USPS already had a possible replacement location for the post office, 333 East 14th Street. That address was last occupied by a Duane Reade store that is now around the corner on First Avenue. It is also significantly smaller than the current post office, which is consistent with what the USPS has said it is aiming to do agency-wide, which is downsize certain existing stations. For the new station, the USPS is looking for a retail space that’s 5,000-6,000 square feet. Mulvey said the new space would be used for customer services only while mail sorting and the location’s mail carriers would be rerouted to the Madison Square Post Office on East 23rd Street off of Lexington Avenue. The new location would not have as many mailboxes as the current one, but according to Mulvey, they wouldn’t be needed since at Peter Stuyvesant, only three fourths of the boxes are rented out. Customers of the post office seemed to disagree though and, while balancing on canes for support in numerous cases, said they didn’t understand why the USPS was closing such a busy station, one with lines that frequently spill out the door. Their arguments were echoed by postal workers from Peter Stuyvesant as well as other post offices who blasted the USPS for not keeping employees in the loop about their plans and also for treating the proposed move as if it were a done deal. While the USPS’s lease is set to expire in February, 2014, the employees called out the agency’s administration for choosing to leave. Though the USPS has said the decision to leave came after it tried and failed to reach an agreement with the owner, a rep for Benenson Capital Partners, which represents the owner, told the employees — and Town & Village recently — that leaving was the USPS’s idea because it wanted less space. A few employees, including a couple of reps for the union that represents postal employees, even accused the agency of methodically closing and consolidating stations in an effort to fail and eventually go private. Though Mulvey didn’t respond to the accusation about privatization at the meeting, a USPS regional spokesperson who was present at the event later denied this. At the Campos Plaza Community Center, the USPS distributed flyers and requested the public’s input on the plan, including what services they’d like to see at the new station. However, the running theme in the comments made at the microphone seemed to be: Just keep it where it is. “This is going to create a real hardship for the seniors,” said Mendez, shortly before the meeting began. Garodnick added that he wanted to be certain that before the post office closes, a new one would be already open and ready to serve customers. “The services must have continuity,” he said. Still, he warned, the post office is “obligated to quit and surrender the premises” when the lease is up. It was this February, he said, when the process began of browsing around for a new location and alerting local elected officials about the planned closure. In the event the 333 East 14th address between First and Second Avenues doesn’t work out, Mulvey said there are other spaces on 14th Street within one tenth of a mile of the Peter Stuyvesant station that the USPS is eyeing as well. 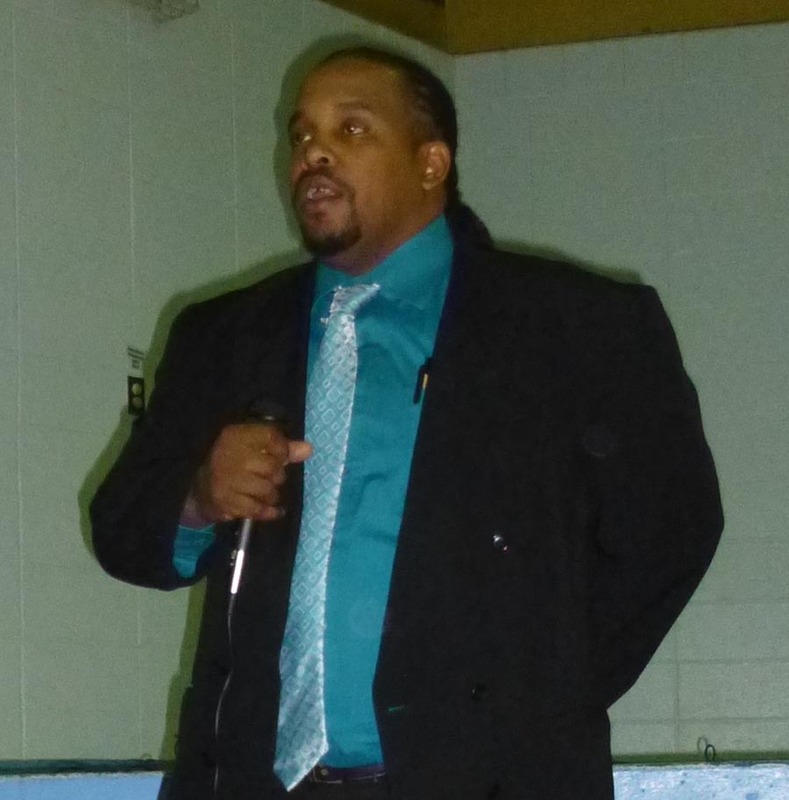 Though it didn’t deter anyone, those who soon got up to speak at the podium had to do so over the rattling and banging sounds coming from the community center’s HVAC system. One woman, Diane Greenberg, who lives in a building on East 13th Street, said her husband is 91 and, “He certainly can’t go to any other facility,” and that as a patient at Memorial Sloan Kettering, she “certainly can’t” either. A few other neighborhood residents said they wondered if the post office on East 14th Street between First Avenue and Avenue A was being targeted instead of another station on East 11th Street and Fourth Avenue, because there were more low income tenants and fewer market rent paying ones in Stuyvesant Town and nearby NYCHA developments. dropoffs of books in Braille, which, she noted “are kind of heavy,” as well as a mailbox she checks regularly for a music-related nonprofit she runs. She also said she agreed with statements postal employees had made, blaming the USPS’s financial hardships not on a decline in mail, as the agency’s claimed, but a law that was passed in 2006. The law forces the USPS to fund its employee pensions 75 years into the future, costing it $5.5 billion a year. Another critic of the plan was Diane Jackson, a retired postal employee who’d worked at the Peter Stuyvesant post office for 23 years. “It needs to remain exactly where it is,” she said. She went on to say that a statement previously made by the USPS, which is that it would find an alternative location somewhere in the 10009 zip code, didn’t take into an account that many customers at Peter Stuyvesant come from other zip codes as well as 10009 such as 10002 (the Lower East Side) and 10010 (Peter Cooper Village). “Do you think the people in Stuyvesant Town and next to it in Peter Cooper Village go to Madison Square? No, they go to Peter Stuyvesant,” she said. A Stuyvesant Town resident named David Cook made a similar point when he questioned the USPS reps.
A couple of union reps acknowledged complaints about the post office, including those made at the meeting about long lines and lost parcels, by predicting problems would only get worse with the move. The meeting was also attended by Council Member Jessica Lappin, who’s running for borough president and is chair of the Council’s Aging Committee. Reps for State Senator Brad Hoylman, Assembly Member Brian Kavanagh and Congresswoman Carolyn Maloney were also there. Maloney, who wasn’t at the meeting, told T&V that she was against the law that forces the USPS to fund its pension plans so far into the future. She also said she’d asked the USPS if she could see the financials on the Peter Stuyvesant station, but was refused. Maloney and several other local elected officials sent a letter on Friday to Postmaster General Patrick Donahoe requesting a meeting. Following the town hall, when asked if all the testimony from customers and employees would impact the USPS’s decision to relocate, Chirichello said the public comments would be reviewed before any decision is made. She also responded to a question from T&V asking about one rumor swirling around which is that the USPS had an option to buy the Peter Stuyvesant station. Public comments are being accepted through May 7. Written testimony that’s submitted must reference the post office by name or location, the USPS said, and be sent to Joseph J. Mulvey, Facilities Implementation, U.S. Postal Service, 2 Congress Street, Room 8, Milford, MA, 01757-9998.